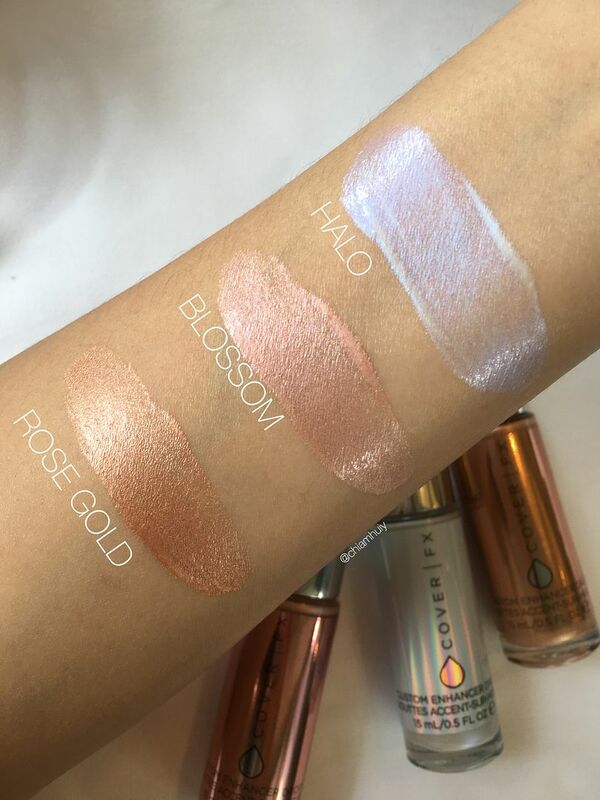 When I first saw the COVER FX Custom Enhancer Drops (highlighters) on their site and instagram, my heart skipped a bit. 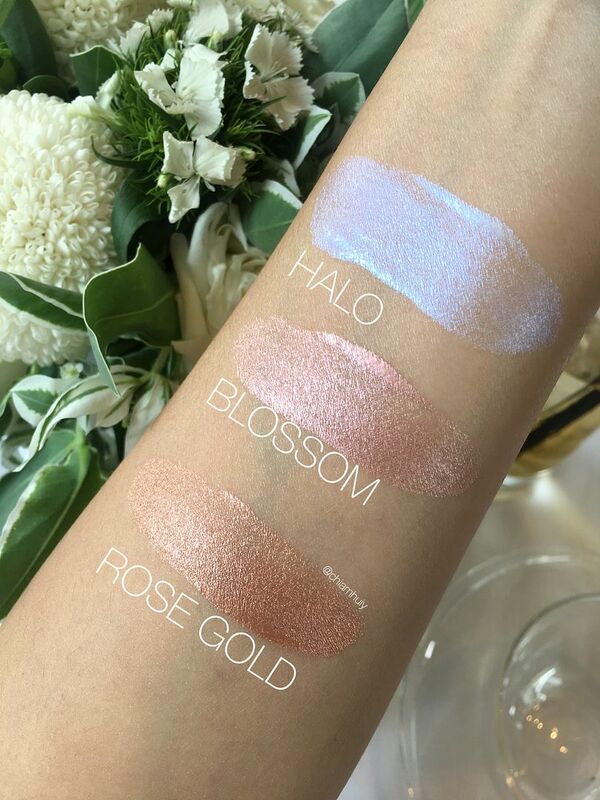 The highlighters are insanely gorgeous, with the shimmers so pigmented and intense. 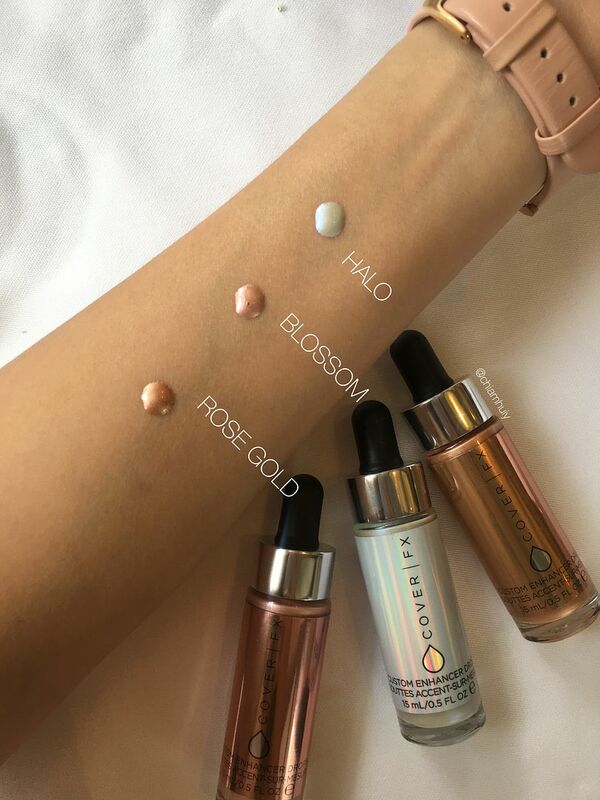 That explains why I'm so thrilled to be invited to the pre-launch of these gorgeous Custom Enhancer Drops in Singapore before it officially launches at Sephora on 11th May. Are you excited already? Technically, the cover photo of this post is all you need to have a first look of the Custom Enhancer Drops. 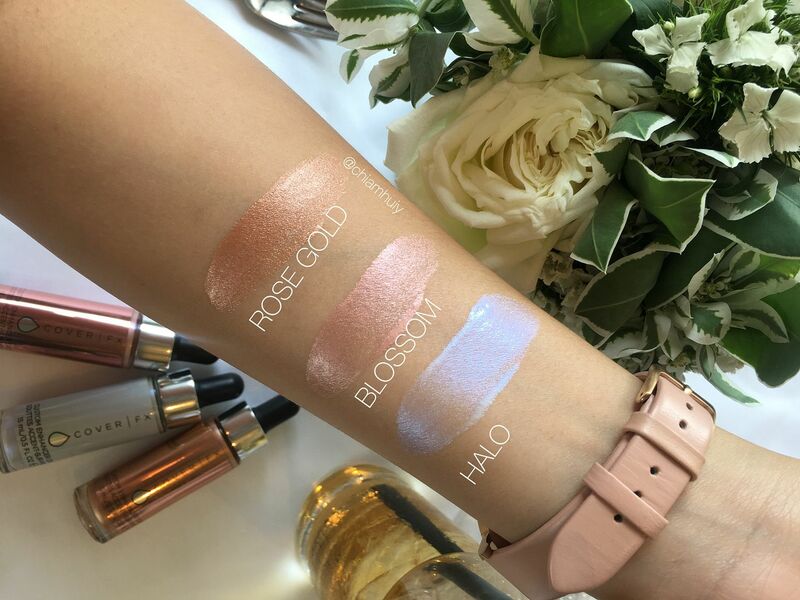 There are the three shades being featured here - Halo, Blossom and Rose Gold. I'm wearing BLOSSOM here. Can you see the subtle glow? 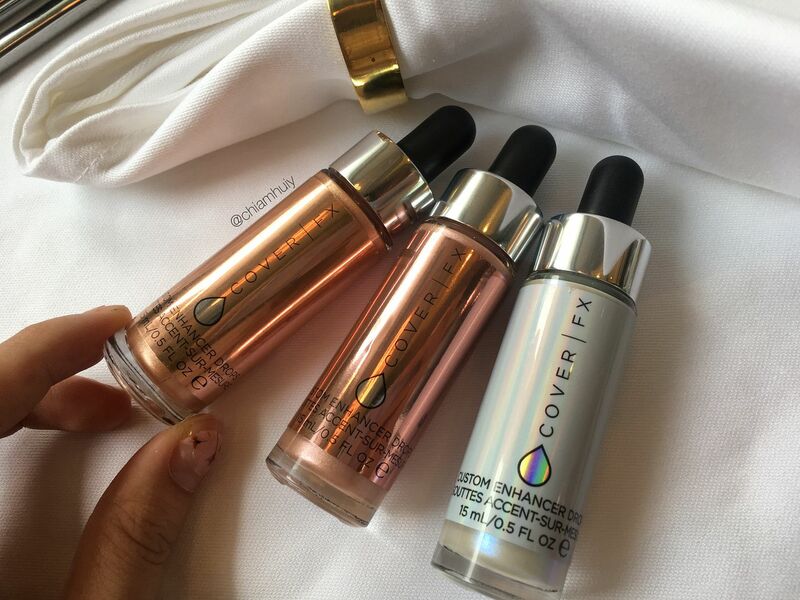 You won't believe this but it takes only one tiny drop of the COVERFX Custom Enhancer Drops to achieve the swatches in the photos. It comes off very watery so I would warn you to go slowly. Don't apply straight onto your face. Dispense one drop onto the back of your hand, and slowly apply bit by bit onto the areas you would like to highlight. You can either use your fingers or even a beauty blender. Also, give it time to dry before you do anything else, because these Custom Enhancer Drops are like I said, very watery. Finish off with translucent powder if you want to have a matte look, yet maintaining the glow on your cheekbones. It really depends the finish look you prefer. 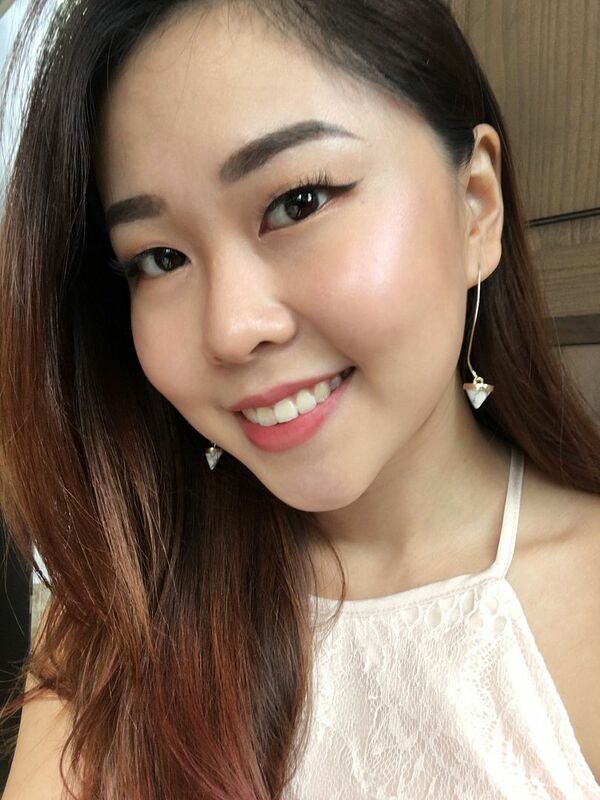 For myself, I love the glow but I stay away from looking too greasy and oily. You can use it anywhere you wish to highlight. Your cheekbones, brow bone, inner corners of your eyes and even the high points of your lips! 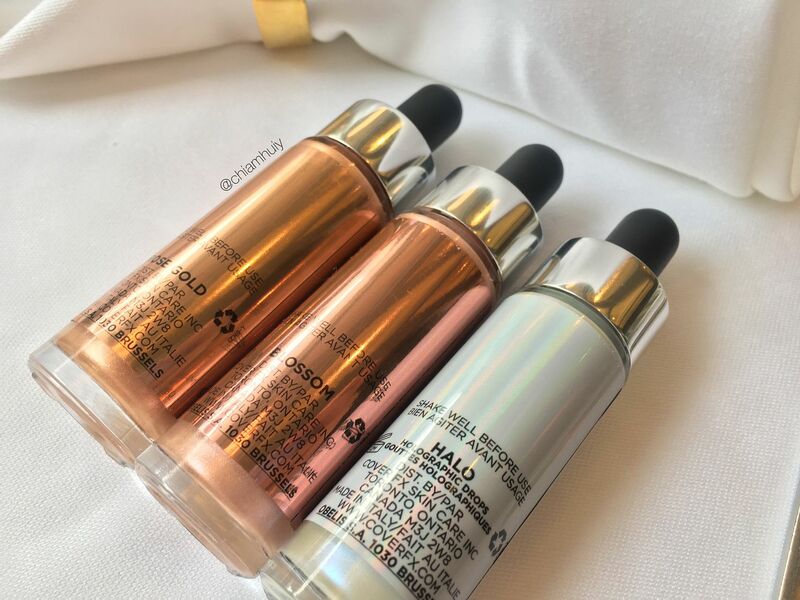 Another use for this enhancer drops is to add them to your usual liquid foundation or skincare, and viola! There you have a very bronzy/ glowy overall look. They'll be launching on Sephora so stay tuned!